The Supreme Court, on Monday, issued notice on a Petition filed by the Kerala State Haj Committee challenging certain provisions of the Haj guidelines 2018-2022. The Petition, drawn by Advocate Haris Beeran and filed through Advocate Pallavi Pratap, assails the provisions as being contrary to the judgment passed by the Supreme Court in the case of Union of India and Others v. Rafique Shaikh Bhikan and Another, (2012) 6 SCC 265. The guidelines reduce the quota for Haj Committees by 5%, fixing it at 70%. This provision, it contends, "strikes at the very root of the interest of the pilgrims who want to travel through the Haj Committees". The Committees, it says, charge a reasonable amount of around Rs. 2 lakhs from the pilgrims, giving them proper accommodation and facilities in Saudi Arabia. This amount increases to Rs. 4 lakhs when pilgrims opt for private tour operators. It therefore contends, "Therefore in these circumstances when a majority of the Indian Pilgrims desire to go through Haj Committees at a very reasonable cost, the decision of the Govt of India to reduce the quota of Haj Committee is arbitrary and unreasonable and is against the interest of the Indian Pilgrims." Applicants who are above the age of 70 years. Applicants who are applying for the 4th consecutive time, i.e. applicants who have been applying for the last three consecutive years but have not been picked. The new guidelines have done away with these exemptions. This, the Petition states, is violative of Articles 14 and 25 of the Constitution of India. It further contends, "The policy giving exemptions to these categories were based on certain logic and principles. 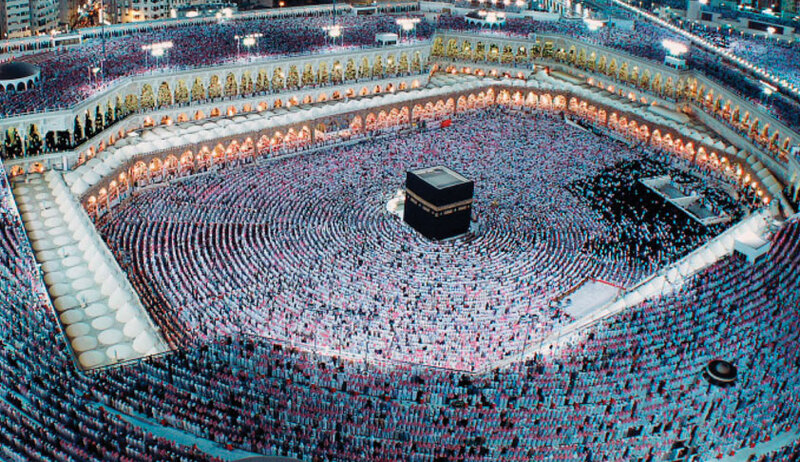 A person who is desirous of going for the pilgrimage through the Haj Committee has a very remote chance of getting picked because of the lack of seats allocated to the Haj Committee and the volume of the applicants which are far outnumbering the allocated seats... Haj being a pilgrimage conducted on a foreign soil entails lots of logistical issues for the Govt of India with regard to the health issues of the pilgrims. Therefore the Govt deemed it fit to allow a person of above 70 years of age to be exempted from the draw of lots. The impugned guidelines have sought to withdraw the said exemptions which is arbitrary and unreasonable... The provision which was working well with the pilgrims had been abruptly taken away causing hardships to the pilgrims." The Petition contends that the Centre's decision to do away with the subsidy is abrupt, as the pilgrims are, in fact, charged three times the normal air fare. It explains, "... the pilgrim is charged 3 times the normal fare and the difference between the normal fare and the fare charged by the Haj Committee is treated as a subsidy which is paid by the Govt. It is submitted that the pilgrim is in fact paying a reasonable fare as air fare but as per the logistical issues, the air fare comes to Rs.75,000. It is submitted that the pilgrim should not be made to bear the brunt of unreasonable air fare of Rs. 75,000 which is 3 times the normal air fare. The Govt will have to provide a reasonable air fare for the pilgrims. This Hon’ble Court had specifically held that the Govt should take steps for global tenders to get the air fares at a lower rate which has not been done till date by the Govt of India. Therefore the decision of the Govt to do away with subsidy abruptly is also against the spirit of the judgment of this Hon’ble Court." The Petition asserts that the allocation of quota to the State Haj Committees should not be made on the basis of the Muslim population of each State. It explains, "It is submitted that this way of allocation is unreasonable in as much as many states will have surplus quota since the number of applicants are low and certain states like the petitioner will have more applicants and the quota is low. For example - the state of UP with a Muslim population share of 22.3425% had only 51,375 applicants but has a quota of 29,017. Similarly the state of Bihar with a Muslim population share of 10.1935% had merely 6963 applicants but a quota of 6963. The Petitioner had 95,236 applications for Haj 2017 and the allocated quota for the petitioner was only 11,197." It, therefore, suggests that the quota should instead be allotted on the basis of the number of applicants who apply for the Haj in the respective year. The Petition challenges the exclusion of Calicut from the list of embarkation points, as being against the interest of the pilgrims. It then explains, "Calicut airport has a Haj House with all the facilities to accommodate the pilgrims including their immigration, luggage collection, accommodation and food. Additionally, the Haj House has all facilities and the same is within walkable distance from the Calicut Airport. The said Haj House was constructed by the Govt of Kerala at the cost of approximately Rs.5.5 Crores exclusively for the use of Haj Pilgrims. It is submitted that more than 83% of the total applicants and selected pilgrims applying to the Petitioner Committee come from the Malabar region of Kerala for whom Calicut is the nearest airport. It may also be mentioned that in Cochin there are no facilities for accommodating the Haj pilgrims and in the previous year a hangar was used for temporarily accommodating the Haj pilgrims. Therefore the condition in the impugned guidelines that the embarkation point is Cochin and not Calicut is against the interest of the pilgrims and ought to be struck down." The Petition submits that the guidelines were framed without consulting the State Haj Committees and contends, "That the views of the respective Haj Committees should be considered foremost by the Central Govt while framing the Haj Policy. The Haj Committees being the statutory bodies are best equipped to provide reasonable feedback and guidance in relation to the framing of the Haj Policy. It is therefore in the best interest of the pilgrims that their views should be incorporated first as they are on the ground level and experienced as regards the pilgrimage. That the impugned guidelines was framed without considering the views of the Haj Committees. The Petitioner Committee had sent in their views, objections and suggestions to the Central Govt through their letter dated 10.10.2017. However, their objections were not considered instead the suggestions of a special committee were considered which comprised of persons inexperienced in the matters of Haj. That the same is highly arbitrary on behalf of the Respondent Union of India."